RULE: Would I Eat an Apple? Recall that the reason we eat is to survive, not for oral pleasure. Food can be incredibly enjoyable, especially when you eat with complete focus. Be present while you chew. Notice the variations of flavor on your tongue. Concentrate as you chew and swallow. Avoid distractions. Be aware of what you are putting in your body. Don’t email, talk on the phone or watch TV while eating, as while doing so, you are likely to eat much more. One Glee episode and 2 empty pints of ice cream later, you won’t even remember how seductively luscious the caramel ribbons were! Check in with yourself. Are you getting ready to undo all your hard work and will power because you’re angry, bored, or just because food is available? Before acquiescing to that force, that unexplainable power that propels you to frantically scour the cabinets, fridge and freezer….that careens your car off the highway to a drive-thru….that urges you to open, unwrap and ingest, almost unknowingly, whatever tempts you. “Am I truly hungry right now? 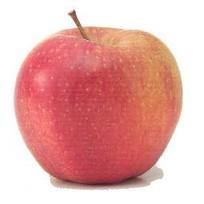 Would I eat an apple?” because if the answer is “No” then you are not hungry enough to eat. You are eating because of another compulsion. Likely an emotion. Stress, cortisol, thirst or some other powerful drive is leading your behavior. And only you can control it (more on this later). This drive is deeply ingrained. It is there to keep us from starving to death. But unless you are reading this from a hut in a third world country—you are not likely to starve. So if you, or your child, are not hungry enough to eat an apple, then find something else to do. If you would eat an apple, then do. Enjoy it (or any other fruit or veggie) have a glass of water and then find something else to do. Great question to ask…would I eat an apple? I love it! Thx Deborah! I think it’s a great gauge! It is a great gauge. And it works so well when my daughter and a friend are spending the afternoon together and keep wanting snacks galore. I offer them an apple and they just say nah and stop asking for snacks. No offense to apples, though, sometimes as a midmorning snack there is nothing better. I love this! I do like apples, but not so much that I would eat one when not hungry, so this is perfect! What a great question to ask myself when I crave a snack. Thx for reading, Elaine! And good Luck to both of us right?! Previous Previous post: RANT: Seriously, Stop Making Excuses!